The Curlew Forum steering group is Geoff Hilton, Mary Colwell, Phil Sheldrake and Mike Smart. Our aim is to keep Curlew projects connected and to make information and advice on Curlew conservation accessible to all. Dr Geoff Hilton is Head of Conservation Science at the Wildfowl and Wetlands Trust, based at their headquarters in Slimbridge, Gloucestershire. Since completing a seabird PhD at Glasgow University, Geoff has worked as a conservation scientist for RSPB’s international research team (1999-2009) and for WWT (2009-present). He oversees WWT’s research on waders such as Spoon-billed Sandpiper and Black-tailed Godwit, and previously worked on the use of molecular tools to determine the lost breeding grounds of Slender-billed Curlew. In 2016 Mary walked 500 miles across Ireland and the UK to try to discover why Curlew are disappearing. The result was her book Curlew Moon, and four Curlew workshops in Ireland, S England, Wales and Scotland. Phil Sheldrake is the RSPB’s Conservation Officer for Wiltshire & Gloucestershire. During nearly twenty years with the Society, he has managed species recovery and people engagement projects in a number of different roles from the mountains of Wales, to the rolling landscape of Salisbury Plain. Mike Smart has been watching birds in Gloucestershire since boyhood. He spent ten years in Tunisia and two in Iran (watching birds among other things) before returning to Gloucestershire in 1974 to work for the International Waterfowl Research Bureau (nowadays Wetlands International) at Slimbridge, then spent seven years in Switzerland (1991-98) at IUCN headquarters with the Ramsar Convention on Wetlands. 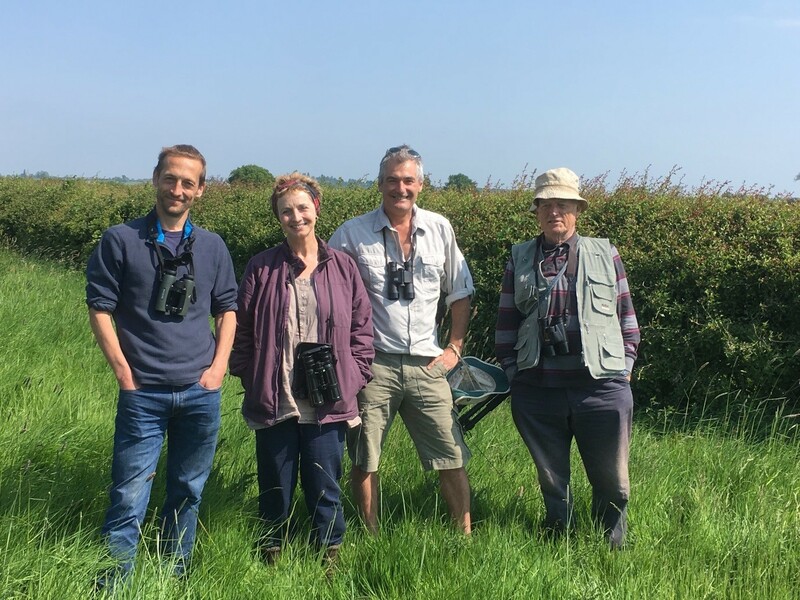 Since coming home he has been involved in local conservation activities with the Gloucestershire Naturalists’ Society and the Gloucestershire Wildlife Trust and continues to watch waders in the Severn Estuary and Vale. 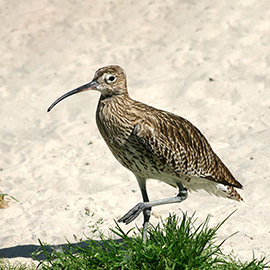 We invite feedback and comments about Curlews from anyone interested. You can send queries, remarks, comments to info@curlewcall.org and they will be posted on the Feedback section of the website. There has in recent years been a growing realisation that, in northwest Europe (and in other parts of the world too), numbers of the Eurasian Curlew Numenius arquata have decreased sharply. This has led, as long ago as 2008, to the inclusion of the species (with all three of its subspecies) on the IUCN Global Red List, in the Near Threatened category, and to the adoption in November 2015, under the African-Eurasian Waterbird Agreement, of an International Single Species Action Plan for Curlew (for full text of the plan see the Literature Library on this website). The principal reasons for the decrease are thought to be poor chick productivity, caused by loss of habitat, predation, and disturbance to the breeding grounds. A key paper by Brown et al. on the plight of the Eurasian Curlew appeared in “British Birds” in November 2015 (for full text see the Literature Library on this website). Within the United Kingdom and Ireland, where a considerable proportion of the north-west European population traditionally breed, a UK and Ireland Curlew Action Group has been established, to monitor and study breeding birds with a view to reversing the downward population trend. In Ireland, where the drop in numbers of breeding pairs has been dramatic, an all-Ireland Conference “Curlews in Crisis” was held in November 2016 (for further details see the Ireland 2016 Conference page on this website). In the UK, much attention has been given to areas of Scotland, northern England and Northern Ireland where the heaviest concentrations of breeding Curlew occur. There are also however, quite extensive populations of breeding Curlews in several lower-lying areas of southern England. A workshop under the title “The Call of the Curlew” (whence the name of this website), was held at the headquarters of the Wildfowl & Wetlands Trust at Slimbridge, Gloucestershire, on 2 February 2017 (World Wetland Day, under the Ramsar Convention on Wetlands). Another major factor in the genesis of the workshop was the walk for Curlews across Ireland and southern England undertaken in spring 2016 by Mary Colwell (for details, see her website at www.curlewmedia.com). The workshop generated enthusiasm and energy for conserving the remaining populations in southern England, emphasizing that it was important to conserve not just the numbers of the species but its current range. Several initiatives to study and conserve Curlews were already under way in southern England, and the workshop gave voice to a desire to strengthen such initiatives in existing areas, and to extend them to other areas. So, by ‘Southern Curlews’ we mean Curlews breeding in lowland areas of southern England; the ‘Southern Curlew Group’ is currently an informal group of people interested in these birds (though it may in future become more institutionalised); there is a very informal steering Committee made up of Mary Colwell, Geoff Hilton, Phil Sheldrake and Mike Smart, and a broader Forum made up of representatives from each of these areas in Southern England. A workshop to discuss the future of the Eurasian Curlew in Wales is to be held at Hafod a Hendre, the Royal Welsh Showground Conference Centre, Builth Wells, on 24 January 2018 (for further details see the Wales 2018 Conference page on this website). The Slimbridge workshop felt strongly that an effective means of communication between members of the Group should be established; a series of Newsletters has been established (reproduced here), and the immediate aim of the website is to extend the range of communications about Southern Curlews; it will concentrate on breeding Curlews in southern England, though will no doubt include items on breeding Curlews in other areas of England, the UK and beyond, and may well stray into items on wintering Curlews, given that southern England is a major wintering area for Curlews that breed elsewhere. It will aim in future to extend its range, so as to bring together in one place all information relating to these Curlews, to provide advice on their study, monitoring, management and conservation; and to provide a blogspot where anyone interested can post information, photographs and questions. The organisers of the website welcome comment and input from any readers of the website.